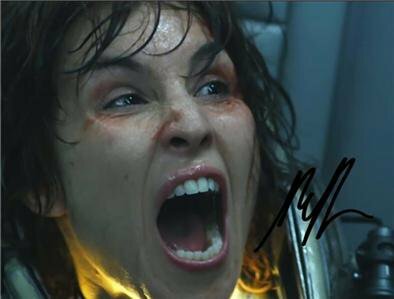 You are looking on a 8x10 autographed photo of Noomi Rapace. The photo is super glossy and high quality and will look great matted and framed. Shipping is 4.95, fast service will be my priority. This photo is a reprint and the Certified Autograph is part of the photo. 100% Guaranteed Satisfaction. We will also combine shipping charges if you pay for your order all together.We will take great care on satisfying the customer. In my book thecustomer is number one, if you have any questions or needs please let us know.The photo will be shipped out within 48hrs after payment has cleared. It will be very protected with a plastic sheath. Thank you and happy looking.